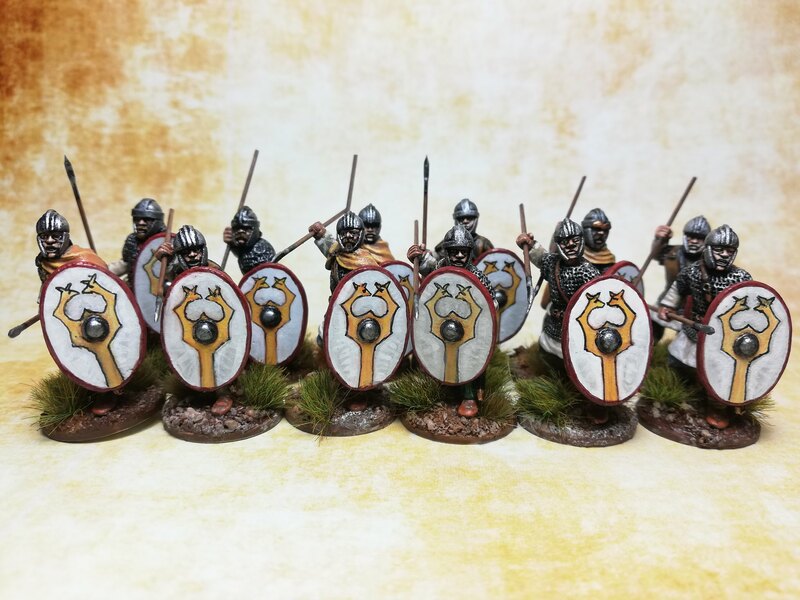 Finished my first two units of Late Romans/Arthurians for Dux Britanniarum complete with hand-painted shields. Very nice. I like the stencil idea. Very nice brush work and pen. Really like the look of those! They certainly look like they're up to defending the Empire, til the money runs out of course. Hahaha. Yes, as they say in economics, in the long run we are all dead.